On Wednesday, March 20, 5 pm—6:30 pm, the Mission trip group will be serving their “Souper Supper.” An assortment of soups and salad is featured, along with bread, drinks, and deserts. This volunteer group has taken several mission trips throughout the Midwest and other parts of the country. Through their monthly suppers, they raise funds for supplies and trip costs. Donation requested is $7.00 per person. In the first part of the 20th century the southwest quadrant of Sturgis, later known as Dog Town, was mostly farmland or open prairie (hence the name Prairie Street). The rest of Sturgis was already a bustling place, and by 1916 the downtown area had electric streetlights. Not so in Dog Town. Here the streets weren't paved until the 1950s, the homes had no running water, and many of the floors were dirt. It was a neighborhood of the working poor, where everyone worked together to have each other's backs. Children played outdoors year round and neighbors weren't shy about correcting another's child. The people there practiced the principle "it takes a neighborhood to raise a child." It was in this neighborhood, Dog Town, where fond memories developed. The uplifting documentary film Dog Town premieres Friday, May 31st, at 7 pm at the Sturges-Young Civic Center & Auditorium. 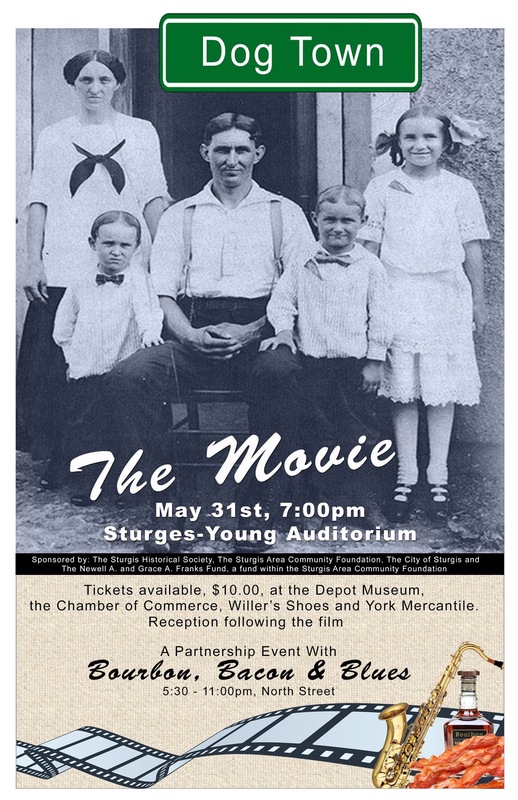 Tickets are $10 are available now at the Depot Museum, Sturgis Area Chamber of Commerce, York Mercantile, and Willer's Shoes. Step on board, make a seat, Depot fundraiser can't be beat! 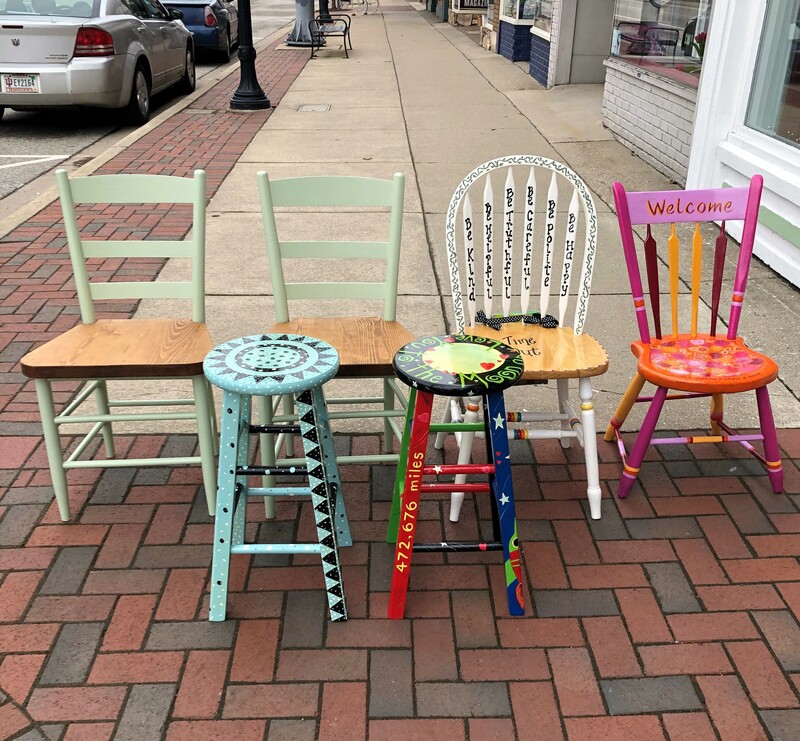 The Sturgis Historical Museum's annual silent auction fundraiser is offering painted and decorated chairs, seats, and stools of any kind this year! Sign up to decorate a chair at the Depot or at York Mercantile. Need a seat to decorate? They've been provided by Willer's Shoes and York Mercantile! Pick one up today at York Mercantile and return it by May 25th. The chairs will be on display in the Beck Gallery at Sturges-Young Auditorium from May 31st - June 15th, where you can place your bids. Contact the Sturgis Historical Museum with any questions at (269) 503-7440. 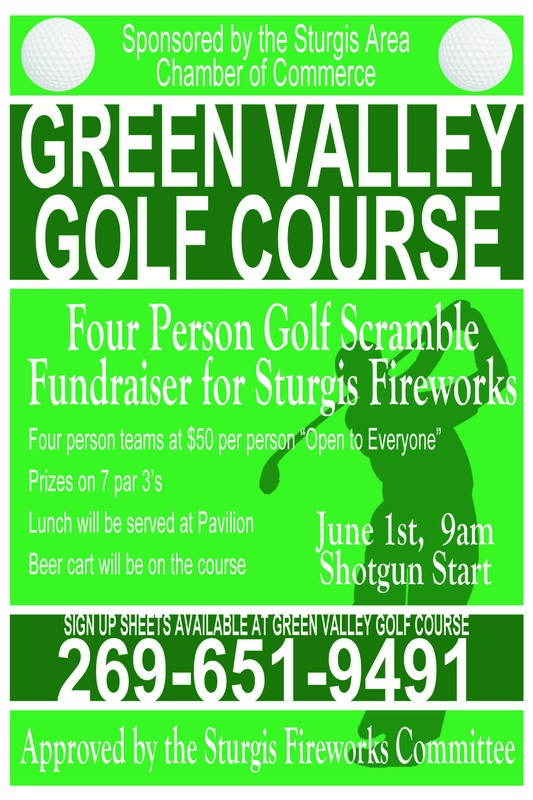 Register now for the Sturgis Fireworks Fundraiser Golf Scramble on June 1st at Green Valley Golf Course. Cost is $50 per person. This event is open to everyone. Sign up by calling 269-651-9491 or stopping by Green Valley Golf Course. All proceeds go toward the Sturgis Fireworks show on June 30th.